A weak clipper system will slide in from southern Canada this afternoon into Saturday. 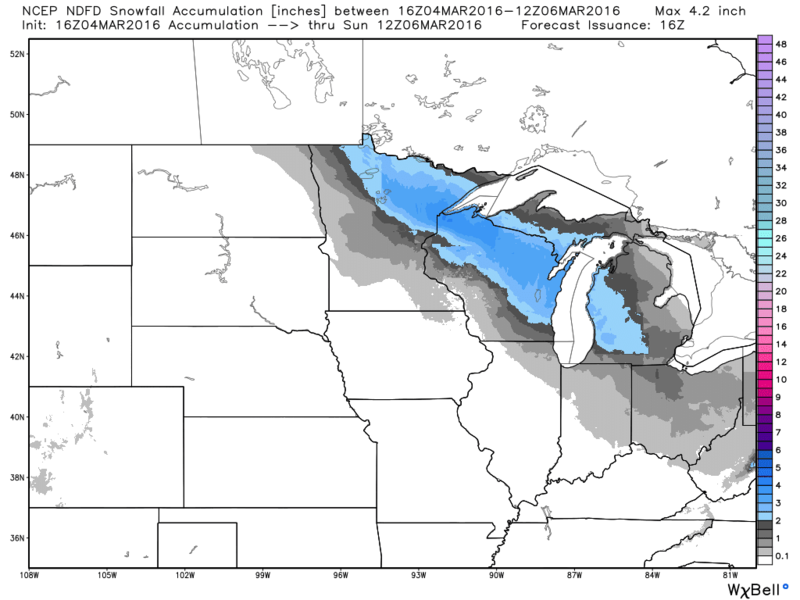 Enough cold air will be in place to drop a general 2-4" of snow from northern Minnesota through the Lower Peninsula of Michigan. Winter weather advisories have been issued by the National Weather Service. The weather service snow forecast is attached on the right for you. This system is expected to exit the Midwest by Saturday and only bring cool weather for a day or so. Winds will then kick over to a more southerly direction and pump in warm and even moist air from the south heading into next week. 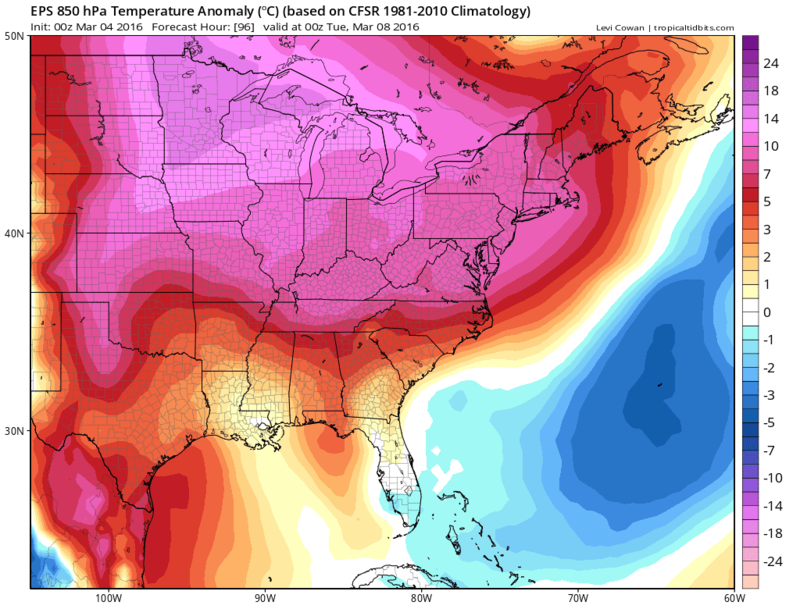 The expensive warmth is noted across a variety of models and confidence is high that the Midwest will be well above normal weather will stick around through the next 2 WEEKS! It could rival the warm weather seen in the 2012 Records. This massive ridge developing next week will also kick off some severe weather heading into early next week. We will have more on this active and Spring-like pattern in the next several days.